Do Parents ACTUALLY Need Permanent [Whole] Life Insurance? So, you’ve reached that stage of life where if something happened to you it would have a negative financial impact on somebody else. Not to worry. You’ve officially reached adulthood. Well, now that your officially an adult you clearly have more responsibilities. You’ve got things to do, people to see, and people who rely on you. Over the past fifteen years I have worked with hundreds of people to help them secure needed life insurance coverage. During that time, I have been amazed by how many people had at some point made the decision to not purchase coverage or not have enough coverage. In my experience, the primary reason most people don’t have enough life insurance coverage is because agents try to sell people a life insurance product they don’t need. Instead of recommending a solution focused on your needs – they would rather recommend a solution based on their needs. This is how insurance companies train life insurance agents to sell their product. They brainwash them (I mean train them) into believing certain policies are the only policies any person should ever purchase. They do this by shifting or deflecting the focus from family protection (need) to retirement (greed). Don’t believe me. Check out Think About Life Insurance Sooner Rather than Later written by the Vice President of Advanced Marketing for Insurance Solutions at Voya Financial. No wonder so many people put off buying life insurance, (and do their best to avoid the people who sell it). What happened to choosing a product that keeps your family from going through a financial hardship resulting from the loss of one or both parents? If you don’t make it to retirement (which is why we are considering buying insurance to begin with) then why would you need life insurance for retirement? As stated earlier, this is exactly how life insurance carriers train their agents. This is how I was trained. The problem is I’m an analytic. I began to ask questions. 1. How much death benefit should I have? 2. How long do I need coverage for? 3. What type of policy should I have? So, as an analytic, I started building spreadsheets and looking for answers that made sense. Especially since the training I was receiving didn’t make any sense. One day I stumbled upon a sheet of paper with the heading Life Insurance Needs Calculator. It had 12 questions focused on answering “how much death benefit should I have?”. The questions were broken out into 3 categories: income, expenses, and assets. The income questions dealt with defining how much income (annual income, rental income, disability payments, inheritance, dividends, etc.) would go away if the proposed insured passed away. The expense questions took into account what expenses the proposed insured would like to have paid for at their death. For instance, funeral expenses, mortgages and other debts, college education, etc. Lastly, the calculator considered existing assets. Things like savings and investments, retirement savings, existing life insurance, etc. Once we had all this information, we could calculate (to the dollar) how much coverage the proposed insured needed. 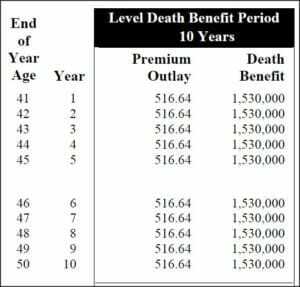 This made it easy to understand and know exactly how much death benefit to buy. Determining the length of coverage is not much more difficult than figuring out how much coverage you need. Maybe I’m oversimplifying (or missing something), but when purchasing life insurance for family protection the primary motivation is to protect against the financial loss of the insured – not retirement. This is where the Vice President of Advanced Marketing for Insurance Solutions at Voya Financial and I disagree. In fairness, this VP has probably never actually sold a life insurance policy. Let me demonstrate by taking a look at the following example on Jack – a 40-year old who plans on retiring at Age 70. Assuming Jack has an annual income of $100,000, our recommendation would be to insure his net income of $75,000 ($100,000 times 75%). The reason for this is proceeds from a life insurance policy are income tax free. This is why we insure his net income, and not his gross income. Then we can determine how far out he expects to earn this income. From there, we apply a present value factor on Jack’s future earning and determine how much insurance he needs to insure against loss of his current and future income. For this example, we will focus only on insuring Jack’s income. From here, we can project how much coverage he will require 10 and 20-year from now. Today, Jack needs $1,530,000 of life insurance coverage. Ten years from now he will need $1,555,000, and in 20-years he will need $660,000 of life insurance coverage. Why Does Jack’s Life Insurance Coverage Reduce Over Time? As Jack continues to work and receive income, his need for coverage will decrease. Each year he lives, he earns income. His income is then used to pay expenses (mortgage, debt, education, etc.) and grow assets (savings account, investments, retirement plans, etc.). By the time Jack stops working he will have saved enough money to maintain his lifestyle throughout retirement. If he dies the day he retires, he and his wife’s saving will be enough for her to continue to maintain her standard of living for her lifetime. If Jack passed away 10-years before retirement without any life insurance coverage, she would likely have to find a job, change her lifestyle, or sell the family home. Life insurance for Family Protection should be used to get to retirement, not FOR retirement. For Jack to accomplish his life insurance planning goals it would be our recommendation to use a “laddered” or “layered” life insurance approach. By taking advantage of this strategy, Jack would purchase three term life insurance policies. Each policy would have a different term and different death benefit. 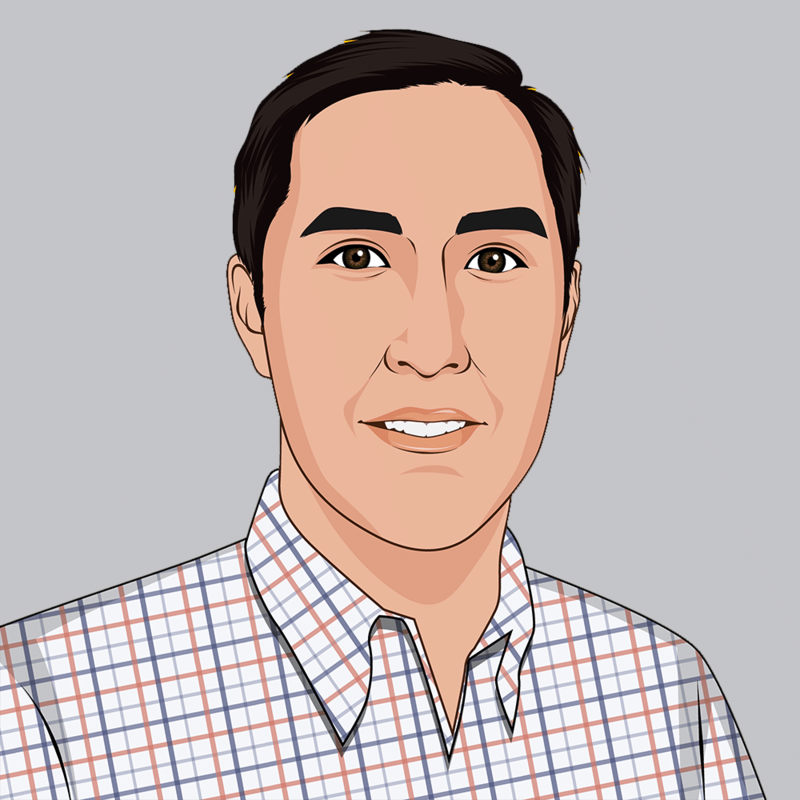 This approach allows Jack to accomplish his life insurance planning goals. When the length of the “term” ends, the coverage goes away. Throughout the life of these policies we monitor Jack’s income, expenses, and assets to make sure the amount and type of coverage he has continues to satisfy, and meet his family’s life insurance needs. From our perspective, it is ALWAYS better to have the right amount of coverage with the wrong product than not enough coverage with the right or wrong product. To demonstrate what we mean by this let’s continue down our path with Jack. So far, we’ve calculated that Jack needs $1,530,000 of life insurance coverage. We have also projected how his needs and coverage amount change over time. If being able to afford the $1,432 annual premium for the proposed $1,530,000 portfolio of coverage is a concern for Jack, then it is our job to present him with a more affordable alternative. This turns out to be 10-year term insurance. A 10-year term insurance policy with a $1,530,000 death benefit would have a $516.64 annual premium. This would be the least expensive way for Jack to secure the $1,530,000 of life insurance coverage he NEEDS. By doing this, Jack understands he will need to acquire additional coverage in the future. And, the overall cost of the coverage will likely be higher. He also understands he may not medically qualify for coverage in the future if he has a change in health. There are number of scenarios where purchasing permanent (whole) life insurance makes sense. I am not disputing this. I have been involved with many of them. However, this is not one of them. When it comes to protecting a family from the financial loss of a parent or spouse the amount of coverage is what is most important. The last thing I ever want to do is have a conversation with a recently widowed spouse and their children and explain to them there isn’t enough life insurance coverage for them to maintain their lifestyle. Especially if the reason is because I sold them on purchasing a life insurance policy that complemented their retirement strategy. Are you thinking about life insurance? Not sure where to start? Schedule a complimentary 20-minute consultation to learn more about your options. I’ll close with this. Maybe you have life insurance protection. Maybe you don’t. Life insurance planning for family protection shouldn’t be hard. It should make sense. If it doesn’t make sense, then you’re probably working with the wrong person. If you need to know what questions to ask or have any doubts about what you’ve been presented, please email us at hello@mericleco.com. We will do our best to provide you with the information you need to make an informed life insurance decision.